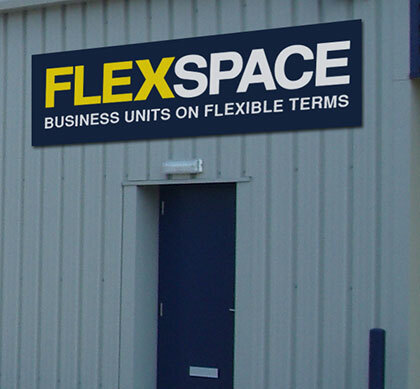 You can rent a Flexspace unit for a minimum of 6 months all the way up to 10 years or more. Most sites have different unit sizes, so you can move and grow with Flexspace. Choose workspace on your terms. Most of our units are so flexible that you can shape the space to be precisely as you want it to be. From Cafes to Gyms, Galleries to Labs, we've seen and done it all. Choose space to fit your needs. Why Rent a Workshop from Flexspace? Flexspace provide a wide range of light industrial workshops starting from 325 sq.ft. Located within established multi use business park locations our workshops are suitable for a variety of businesses, from engineering companies to printers, gyms and photography studios. Our workshops are fully adaptable to suit your needs, so if you need an internal office or need to divide the space into a number of areas, no problem*. Whether you have outgrown a workshop in your garden or looking for new business premises strategically located close to amenities and motorway networks, we have a space suitable for you. * All alterations are subject to prior approval. Why choose a workshop with Flexspace? At Flexspace we offer a choice of flexible agreements and the ability to expand into larger units as your business grows. Our aim is to provide a flexible and professional working environment to encourage thriving business communities to grow. Workshops: done your way when you book direct! Book with us, and have access to the most flexible terms and contracts, and some of the most versatile business space in the UK, set up for the modern business owner. With our workshops you get a versatile space to make your own. Our workshops are often mixed-use with desks in one corner and machinery in another. But they have been used as haidressers, gyms and even pet grooming. We can furnish your office, get utilities and telecoms up in place, so you can have a fast start on your business. Be it e-commerce, fabrication or repair! If you have any special requirements, we are confident we can supply your needs. We want every client to enjoy their stay. Talk to the team and we will get everything ready for you.